The world is home to six phytochoria, which are geographic areas with a relative uniform composition of plant species. Phytochoria vary greatly in size, from Holarctic Floristic Region (N. America, Europe, and Siberia) to the Cape Floristic Region (the southwestern tip of the Western Cape province in South Africa). The Cape Floristic Region is home to plant species so rare that the entire range of some species are smaller than a football stadium. The unique climate and landscape of the Western Cape have allowed the endemic flora to flourish, but many could be extinct in a matter of months due to an extremely severe drought. The province has been suffering from the drought since 2015, a 1 in 400-year event. The capital city, Cape Town, is likely to become the first major city in the world to run out of water. As the situation grows increasingly dire, city officials have suggested drilling into aquifers to provide more water. Ecologists worry that depleting the underground water supply could hasten extinction for the Cape Floristic Region’s flora. Cape Town has a warm-summer Mediterranean climate, which means that the summers don’t get too hot and the rainy season is in the winter months (June-September). However, winter rains haven’t been arriving for some time now. The drought has been ongoing for the past three years, altering the daily life of residents. The province’s agricultural sector reduced water consumption by 50%, resulting in the loss over 30,000 jobs and even more individuals pushed below the poverty line. Food prices, including those exports, have steadily increased. Cape Town has placed water restrictions since the drought began in 2015. The restrictions started at Level 1 and are now at Level 6B, reducing water consumption to 50 liters per individual per day for all purposes. This means that city residents must keep track of how much water they use while taking showers, preparing food, flushing the toilet, etc. Watering gardens or washing cars are out of the question. The date Cape Town’s water supply is turned off, “Day Zero” has been pushed back from April into July. Residents hope the winter rains can bring more drinking water. However, water supply levels continue to fall. Cape Town’s water comes primarily from six major dams. One of these dams, Theewaterskloof Dam, stores over half of the water supply. 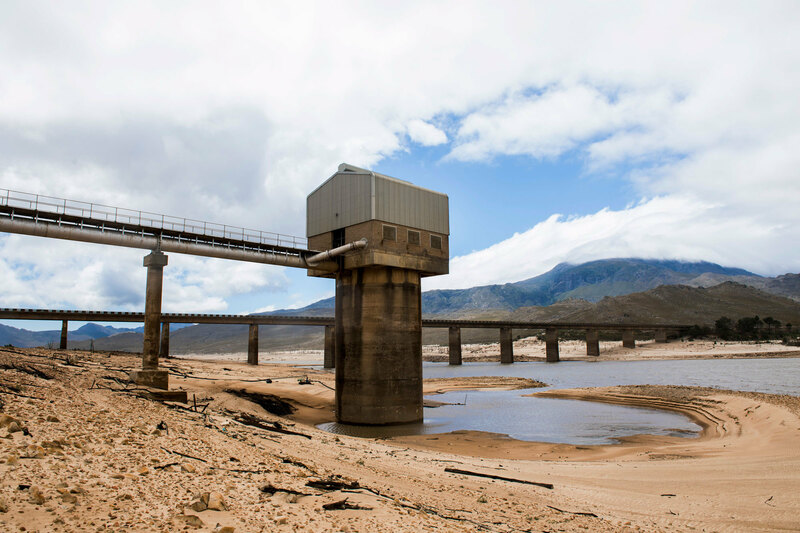 Theewaterskloof is currently at 11% of its capacity, down from 80%+ levels before the drought. The second largest, Voëlvlei, is at 15%, down from 75% pre-drought. The city government recently managed to transfer water from the rural Groenland Water User’s Association, but officials still expect Day Zero to be reached and so Level 6B water restrictions remain in place. Cape Town officials have been criticized for being slow to respond. Their first option for alleviating the crisis was the construction of desalination plants. However, GrahamTek, a water desalination company with projects in India and Saudi Arabia, has lambasted the city government for slow negotiations, red tape, and bureaucracy. According to CEO Julius Steyn, “There’s absolutely no excuse for this failure”. In response, the City Council gave City Manager Achmat Ebrahim special powers to expedite the process. However, after being under fire from Mayor Patricia de Lille, Ebrahim was forced to resign. De Lille herself is under significant backlash for corruption allegations, putting the future of the desalination plants in limbo. The plants aren’t expected to come online until at least the end of the year. Meanwhile, officials have also proposed drilling into underground aquifers to provide more water. Currently, only farmers and private individuals use water from aquifers. The aquifers supply water to the diversity of endemic fauna of the Cape Floristic Region. According to ecologist Adam West, “You can literally wipe out a species by developing an area not bigger than a tennis court”. West, a professor at the University of Cape Town, wrote an open letter to the city government calling for it to reconsider drilling into the sensitive environment. 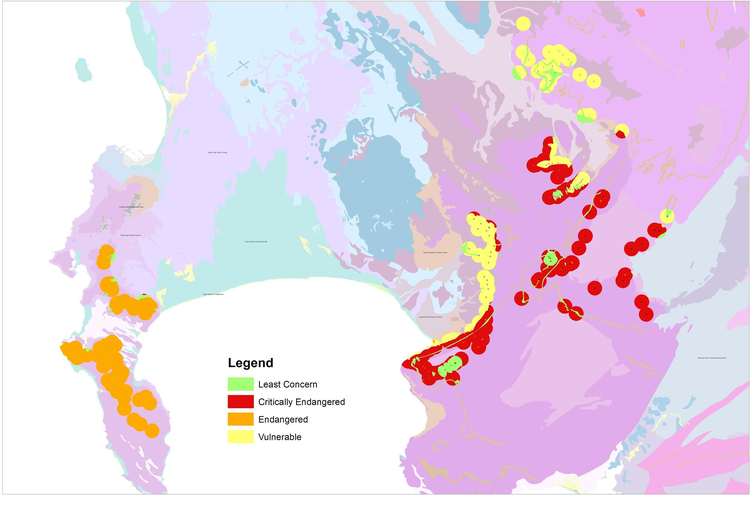 Another ecologist mapped out environmentally sensitive regions in the Cape Floristic Region (right). 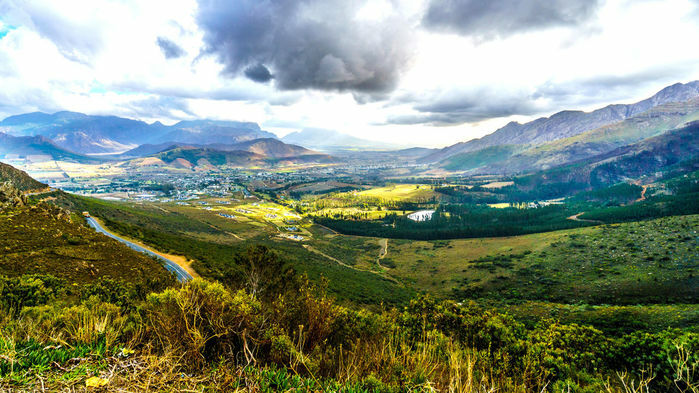 The Cape Floristic Region is also a UNESCO World Heritage Site, which are man-made or natural landmarks with cultural, historical, or scientific significance to humanity. World Heritage Sites are under a suite of legal protections, which ecologists argue must be protected. Additionally, drilling into aquifers is expected to supply 40 million liters of water a day, which is less than 25% of daily water demand even under the Level 6B restrictions. Ismail Ebrahim, a botanist, states that clearing invasive vegetation around the dam catchment areas could save more water because these plants require a greater water supply than native species. The provincial government says they are aware of the ecologists’ concerns, but the plants to drill the aquifers have yet to be revised. The political pressure to initiate drilling is only growing stronger, leading the government to ban biologists from CapeNature, the province’s conservation agency, from speaking to the media. 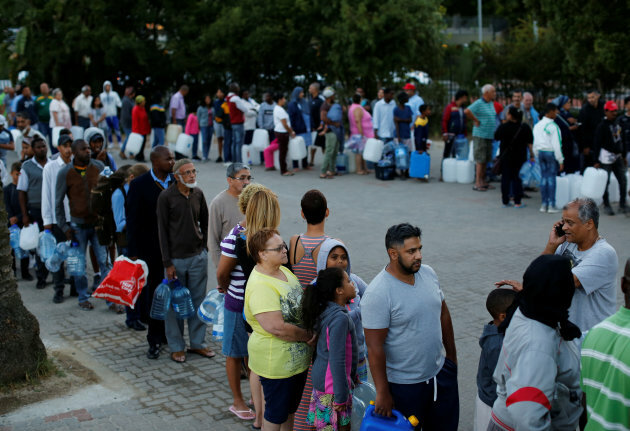 Cape Town’s water crisis is a preview of a potential future for many cities around the globe. As the planet becomes warmer and the human population continues to balloon, the global demand for water is only expected to increase. 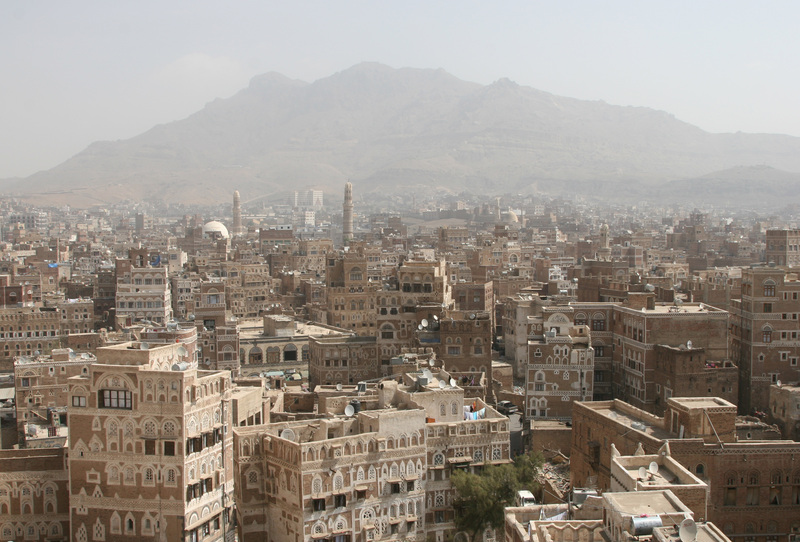 A multitude of cities in the world, from São Paulo to Phoenix to Sana’a, face a similar future. Cape Town is among the wealthiest cities of Africa and still managed to end up in this crisis. Even wealthier regions such as Australia, the western United States, and the Mediterranean are expected to face a similar situation in the coming decades. What is not discussed as much is the choice cities must make: to provide water to residents or to provide protection to the natural environment. Drilling into underground water sources will destroy native vegetation while also decreasing the long-term water supply. Not providing an adequate water supply will harm a city’s economic future while also increasing safe water inequities. Our generation will have to face this difficult choice in the future. Maanas Nukala serves as the Director of the Colonial Scope and Director of Technology for GWUR. Hailing from Westford, Massachusetts, Maanas is majoring in Biological Anthropology and minoring in Geographic Information Systems. His research interests include remote sensing, conservation biogeography, landscape genetics, and evolutionary primatology. He is currently an undergraduate research assistant in the GW Primate Genomics Lab and a remote sensing internat the Defenders of Wildlife’s Center for Conservation Innovation. Maanas has previously conducted research in remote sensing at the Center for Biodiversity &Conservation at the American Museum of Natural History. 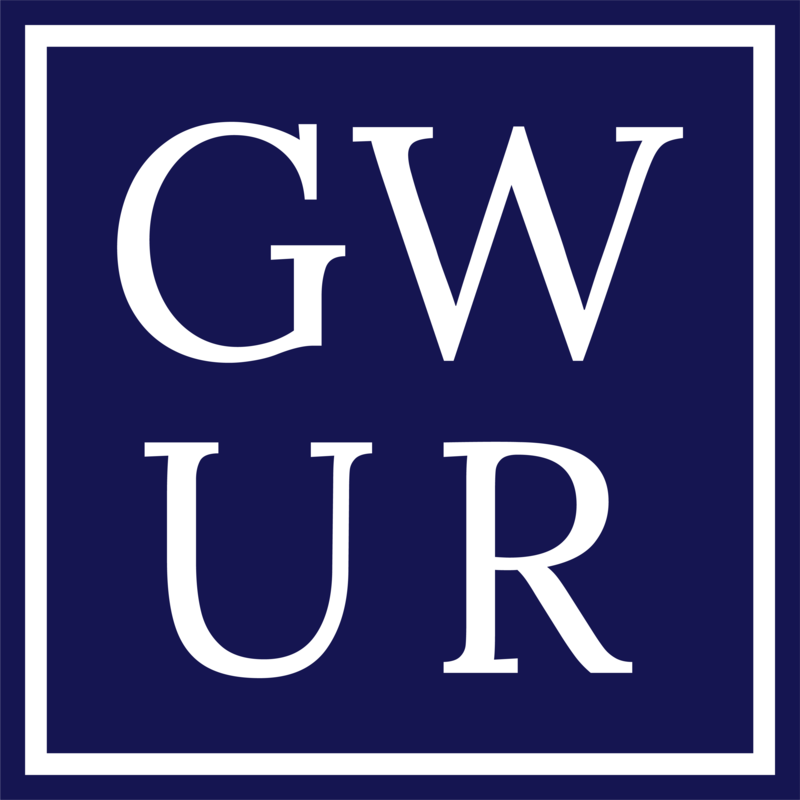 At GWU, he is an alumnus of Civic House and a member of the Humanitarian Mapping Society.